Goat Island, which has restricted, limited access, is the largest of the islands in Sydney Harbour. Over the years, Goat Island has served as a quarry, convict stockade, explosives store, police station and fire station. Today the island forms part of the Sydney Harbour National Park.... Goat Island, part of the Sydney Harbour National Park, is a fascinating 300m wide sandstone island located west of the Harbour Bridge. 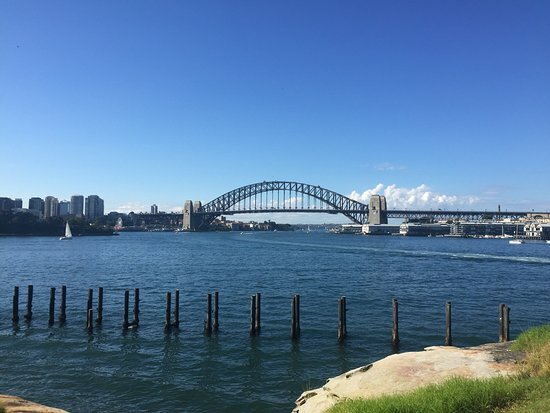 Throughout the years, Goat Island has served as a gunpowder store, a water police station, a source of sandstone for Sydney real estate, and much more. Meet at our boatshed which is located on the waters edge at Blackwattle Bay only a couple of kilometres from Sydney's centre. It's easy to walk from the city, catch a bus or take the light rail. How to get to Garden Island: When the RAN centre is open the Watson’s Bay ferry will make a stop here. You can also take a 311 bus from the Barangaroo or the city to Potts Point. You can also take a 311 bus from the Barangaroo or the city to Potts Point.